Hi everyone! It's great to be back after an extended holiday! Happy New Year! "Hello everyone! I challenge you to use punches and die cuts in your creation. It doesn't matter how much or what shape you use. 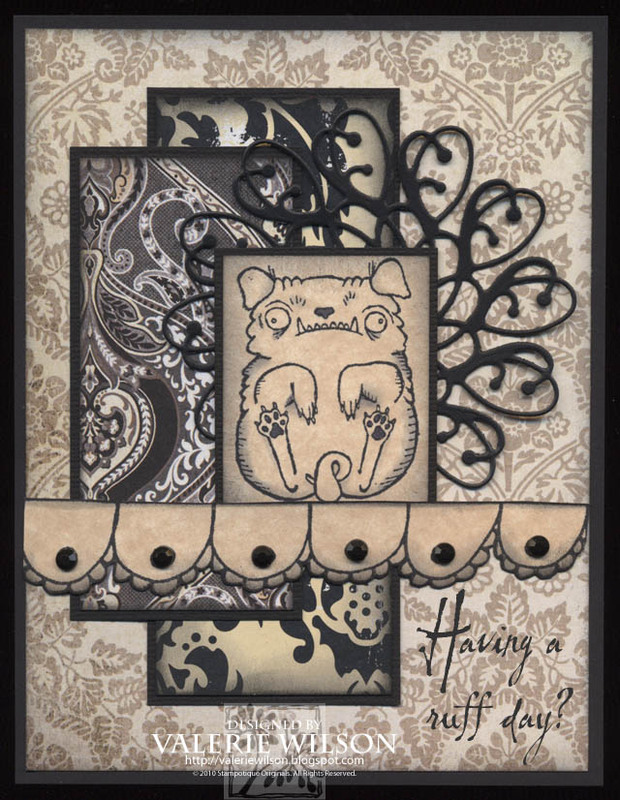 This is a fun one :-) cause you can use any (Stampotique) stamp you have. Now I hope you have enough punches and die cuts you can choose from ;-)"
Well, I have a huge stash of punches and dies so the real trick with this challenge was figuring out which one(s) to use! LOL! 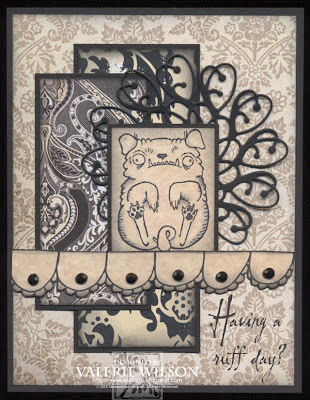 I checked out Mojo Monday for some layout inspiration and came up with this punny little project :) Be sure to play along too for your chance to win $30 in Stampotique Bucks! "My Labrador retriever had a nervous breakdown. I kept throwing him a boomerang." Really Stunning Valerie.... The doily is so delicate. Great papers, love the colors. Love the paper you used and the color combo. Very striking!